If you have set your sights on hardwood flooring, you are definitely exploring some DIY installation guides. This is one of the most popular projects for doing on your own. However, just because a lot of people do it, doesn’t mean it is problem-free. As it turns out, there are quite a few wrong turns you can make when installing hardwood floor on your own. Lack of cohesion – generally, there are two scenarios for the flooring of your home. It either ties your décor together, or it can detract from it. Have you ever visited places with hardwood in the entry area, carpeted surfaces in the dining room and tiles in the kitchen area? That is hardly an ideal way to create a pleasant feel in your home. That is not to say you need the same flooring throughout your home. Take a good look at different areas from different spots. If you can see one room from the next one, then use the same flooring type. Installing hardwood everywhere is definitely a good option. You can then add area rugs, if need be and forget about this lack of cohesion that is a major issue in so many homes. Relying too much on the DIY approach – do not be mistaken: some hardwood floors are much more complicated than what the average homeowner can tackle on their own. Don’t underestimate the importance of sub-floors, finishing and crooked floors, as each of these details contribute to a beautiful and structurally-sound floor. Don’t count the money you save by doing the work yourself, but instead consider whether you have the skill required to get the job done. If the answer is no, then you will need the aid of professionals, or else you risk ruining the floor. Saving money on flooring the wrong way – it is only normal if you want to save money on hardwood floor installation. For example, cutting corners by doing the job on your own when you don’t know the intricacies is just asking for trouble. 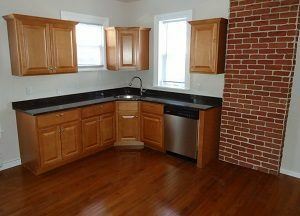 Make sure you hire a reputable contractor and assure you get high-quality materials. All of this will pay off in the future, as you experience less trouble with your flooring. You disregard safety – while it may seem like you are only choosing hardwood material, not a big deal, etc. there are some safety considerations you need to think about. For instance, a glossy finish could easily cause some trips and nasty falls. That is no small thing to disregard with children and elderly people in the place. Consider the level of use – if you live in a large home with high foot traffic, you need to consider the floor material and finish. It needs to be durable, or else you will find your floor in need of repair more often than you’d like. Now that you know the common mistakes you can make with hardwood floors, you best keep them in mind. 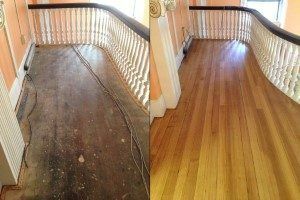 This is a guarantee for a successful hardwood floor installation.